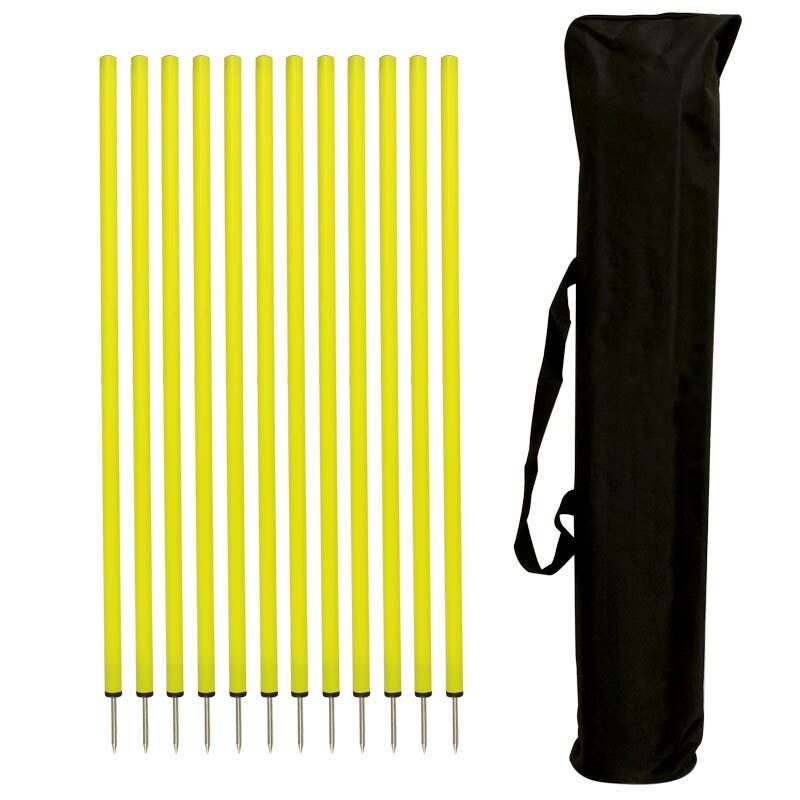 DOGM8 Dog Agility Weave Poles 12 Pack is a superb dog training aid. Good quality, versatile poles, ideal for god training. 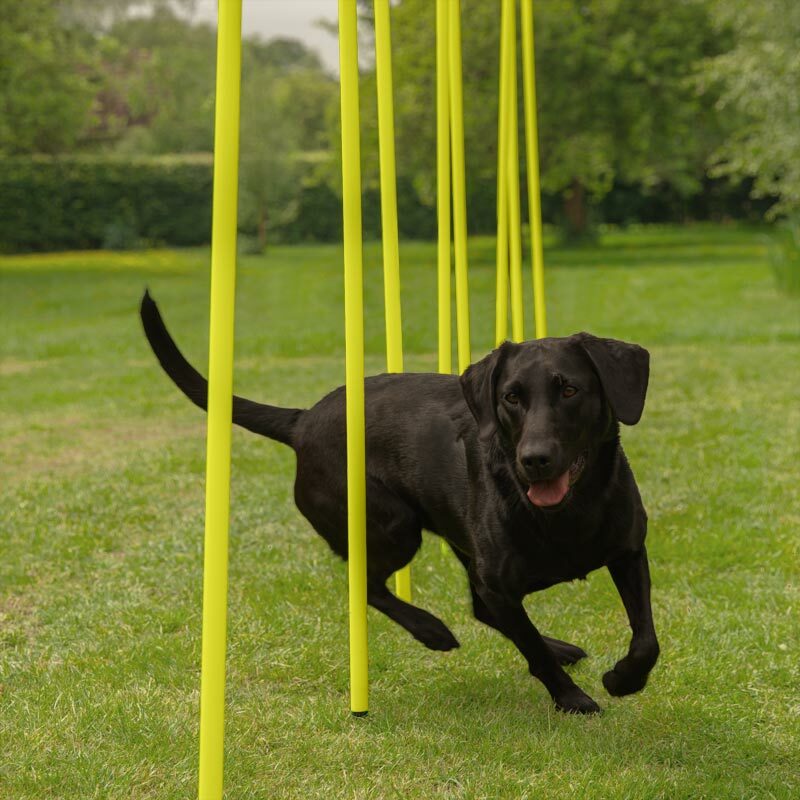 DogM8 weave slalom offers everything that the weave training student needs, the 6ft tall flexible pole design makes it easier to get the training correct from the start while building up confidence with your dog right from the start. As your dog learns to weave through the slalom at its widest to start from, and gradually moving the poles, narrower as the training progresses until a full straight line can be performed. The front and rear parts of the weave slalom can still be left wider and more open, yet keeping the centre portion, narrower and straighter, making entry and exit to the weave slalom easier and more accurate to control, and building speed. Agility weaves 60cm distance between poles UK kennel club conform. Dogs will increase speed during exit of the weaves as they get used to the new distance between the poles. Easy to build up from channel funnel weaves to straight standard 12 poles weave. Best 6ft agility speed training weaves sold in the UK.